The Body Shop Black Friday deals are on now! 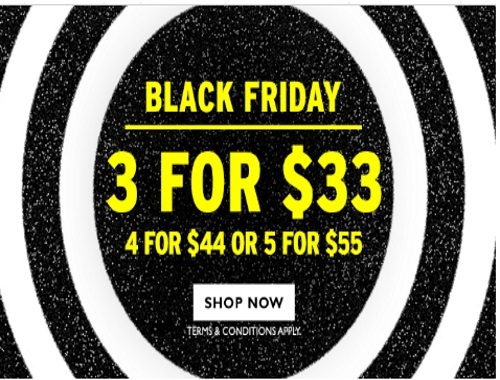 Get any 3 items for $33, 4 for $44 or $ for $55! That is THE best deal of the year for The Body Shop! Also you can purchase their Black Friday Tote filled with $125 value for only $40! No minimum purchase required. Offer is valid online and in-store during their Black Friday Week Deals November 17-22, 2017.